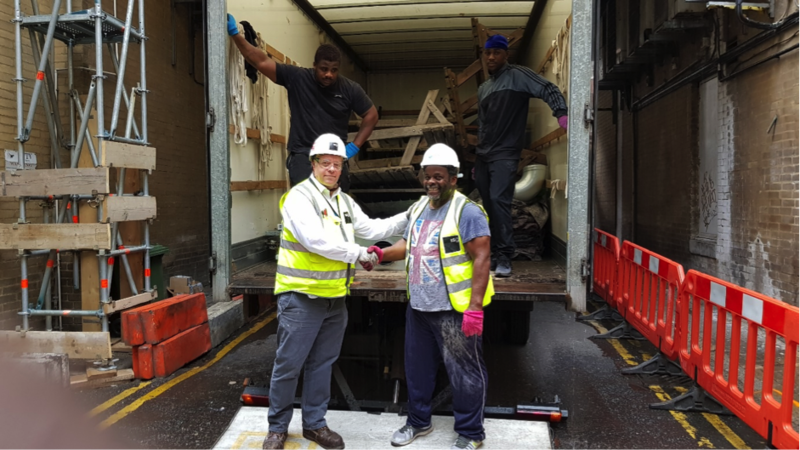 Thank you so much to the amazing ISG Construction Manager Gerry Sharpe who has helped Gmax obtain essential materials to fit out our new studio project. Gerry has donated Picnic tables and Air Handling Units (AHU’s) to which will massively make a difference to Gmax budget. organisation you would be proud to do business with as they have helped Gmax with our charitable causes which supports our local community ventures. The local judging panel is meeting soon to make the decisions and the winners will be announced at the London Awards night on 10/01/2018 to be held at Crowne Plaza London Kensington. We're wishing Mark the best of luck! As part of our young athlete series, Athletics Weekly hears from Britain’s No.1 under-17and Europe’s No 8 long jumper in 2013. ISGPLC the people behind the most sustainable building on the 2012 Olympic Park, and some of the world's only BREEAM Outstanding and LEED Platinum projects, have assisted Gmax Trackstars massively by providing reusable materials for the new Gmax Headquarters in Brockley Cross. Gmax Sports yoga program is designed as a cost-efficient means for a teams and athletes to provide an essential conditioning benefit to their training regime.